Retractable Screen Doors are a great addition to a household that likes to keep their doors open, but can’t stand the flys and bugs that come with it. Most single swinging french style doors do not come with any screen option. Retractable screen doors are the best answer to that very problem. Swinging screen doors are often cheaply made, and the functionality is a pain. Retractable, or Disappearing Screen Doors are great because they retract away when not in use, but function as well if not better than most swinging screen door applications. If you have, or have ever had a double door, you understand that they are a great way to open up your house to a feeling of space, and airflow. The only problem is the constant breach of unwanted guests. Before there were Double Retractable Screen Doors, the only options were to put double swinging doors, as if having to original doors that swing was not enough, and/or sliding screen doors that can either be slid left or right, leaving one side constantly blocked. 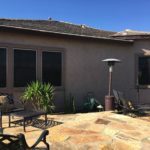 Double Disappearing Screens allows you to open both main doors and maintain a good barrier for bugs, while offering breezes to pass through, and unobstructed views. Retractable Screen Doors then disappear into their quality streamline casings and become unnoticeable and just apart of the framework. There are several different Retractable Screen Door manufacturers available, but when choosing quality and durability, Rollaway Retractable Screen Doors are the way to go. 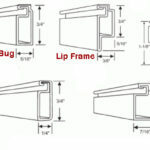 Other Screen Door companies have similar products that either look less appealing, or are architecturally less evolved. Upon many months of research and hands on experience, Rollaway Retractable Screen Doors proved to be the best overall product when it comes to a quality Disappearing Screen Door.